Many Alaskans consider themselves the 12th Man of the Seattle Seahawks and this visit allows us to share the Alaska way of life with these professional athletes while also supporting Special Olympics Alaska. 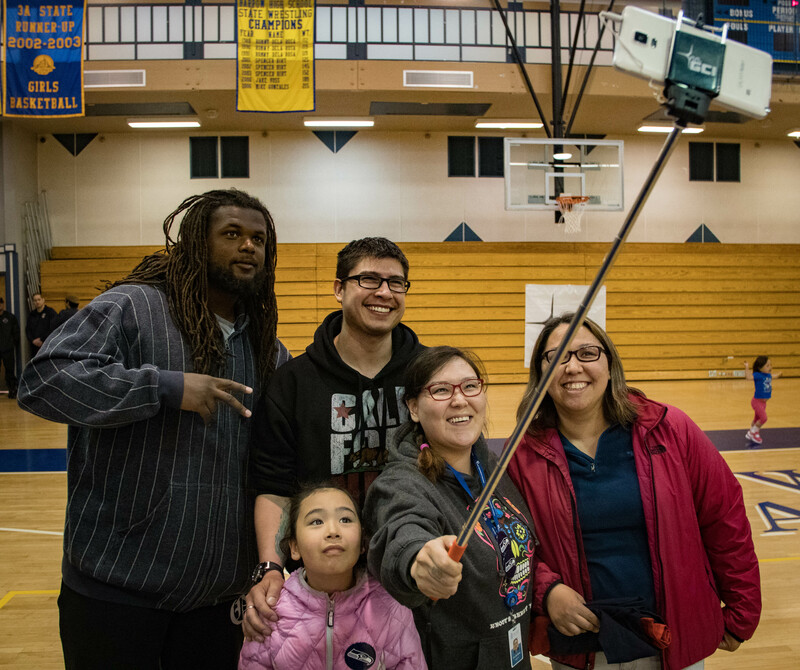 The Seattle Seahawks this week visited Barrow, America’s northernmost town, for a community cookout, games with Special Olympics athletes and a dip in the Arctic Ocean, all part of a trip made possible by General Communication Inc. (GCI). Seahawks Offensive Lineman Kristjan Sokali and Terry Poole joined Assistant Coach Tom Cable in bringing the Seahawks sense of passion, character and excellence to this tiny northern town above the Arctic Circle. The highlight of the trip included a jump in the Arctic Ocean that brought smiles and laughter to community residents. Other activities included a community BBQ at Kathy Parker Football Field and games to encourage sportsmanship with Special Olympics Alaska athletes and Barrow youth. 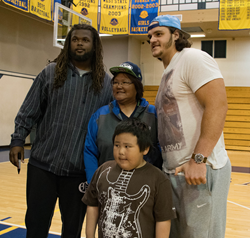 The team also explored the Iñupiat Heritage Center and made a home visit with a Barrow family. The Barrow visit formed from a partnership between GCI, Alaska Airlines, the North Slope Borough and Special Olympics Alaska. To watch a video of the Seahawks Alaskan Arctic adventure, you can download the b-roll video here. GCI delivers communication and technology services in the consumer and business markets. Headquartered in Alaska with additional locations in the U.S., GCI has delivered services for more than 35 years to some of the most remote communities and in some of the most challenging conditions in North America. Learn more about GCI at http://www.gci.com.